Today I survived another Sunday without taking out Jesus. In seriousness, today was our Sunday for Laying on of Hands and Anointing. In my home parish I am not sure how many people would get out of their pews and come forward. In this parish, I think it was everyone. Coming forward for a laying on of hands and anointing with oil , the sign of the cross in the name of our Lord. And it was clearly very moving for people to hear a word of forgiveness and healing. And very moving for me to serve in this way. And I said I would stay for a choir practice. There were 6 of us. Unlike in my home church where we have a library of anthems, here we are singing a two verse hymn in With One Voice. And it would happen that this is originally a Hispanic hymn. And it would happen that I know some Spanish. Could I sing in Spanish so people can hear it? So next Sunday they will sing a verse and I will sing it in Spanish. And then we will so the same for the second verse. Everyone knows they will have no idea if I say correctly, but in their way this is becoming aware of others. Many churches with anthem libraries would not do as much. And today the children put dimes, nickels and pennies into ELCA Hunger Appeal envelopes during the childrens sermon on the poor man. And I know a church with an anthem library that did nothing to make the message become action. They may be small and they may have limited resources, but these people are a flock that is trying. After church I had some time before the corn maze outing. I went out into the very large cemetery. It has been there since the 1800's and one can learn much about a people there. I found a couple Civil War veterans. One died of thyphoid fever in a Civil War hospital. Of the several World War veterans, one died in combat that I saw. Then I came across a large obelisk of a family. One two sides were the names of 5 children who had either died at birth or within the first year or so. On another side was the name of the wife, Susannah. She died at 34. Then I started doing the math. The youngest child died after her. But when? By two months. Child number 6 - she died in childbirth and the child two months after. No children survived. When we think of the lives of the faithful, and put it into the context of the parent who has just gotten that knock on the door or telegram from the Defense Department,"We regret to inform you..." or the family of one who died alone in a hospital and news came by letter much later, or the husband who has buried six children and his bride, how much they must have endured and yet remained here in the faith. Today I see men and women whose spouses struggle with illness, whose children labor with adversity. Yet here they are, wanting to understand the larger world, and put their change in envelopes for change. And they come forward believing in God's saving grace, forgiveness and promises. Come Holy Spirit. I spent my first "real" Sunday in my teaching parish, the church on the country road. 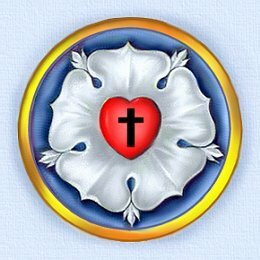 Having been told I would fill in where the needs were, I knew I would be serving as lay minister, intoning the Kyrie, and the psalm, leading the Prayers of the Church and assisting with Communion. This was my first opportunity to wear my new alb which I had ordered "Qwik-Ship". It came on Saturday ( which of course is better than Monday after the day it was needed). I received comments on how "nice" my alb was. Which for a moment made me chuckle since one rule some women follow is not to wear the same nice dress to more than one occasion, I am engaging in exactly the opposite practice. But it did feel thrilling to be wearing my own alb. For the last many years of serving in my home parish, we all share a collection of albs available for that purpose. Some better than others. And I was wearing the pectoral cross I got this summer from the Moravian shop nearby which my Mom bought for me. And this felt more than a little ironic since she has not been supportive of this journey of mine. When I saw the cross while we were together this summer, she offerred to buy it for me, not knowing what its purpose would be- to be worn in worship doing the thing she can't believe I gave up a perfectly good legal career for. What if I can't pull this off? In my teaching parish the altar space is very different to me, and then there is the credence table. The home for all things to be placed on the altar before they are, in a kind of setting of the table. In 18 years I have never had to learn or carry out this practice of "setting the table" because my home parish does not have such a place. What if I make a mess of it, or worse, what if I drop something, or it flies out of my hand. Behind the altar is a framed piece of stained glass, internally lit depicting Jesus on his knees in prayer. What if, in a Monty Python-esque scene, something flies out of my hand and crashes into Jesus? What if fear strikes me and I canNOT sing the kyrie, or .. I am sure God gets tired of my "What if I stumble, what if I fall" routine. It all turned out just fine. In fact there must be grace sufficient because it turned out better than I had hoped. Even the teaching middle school boys part. This Sunday I am assisting again, and there is a service for healing and laying on of hands. Something else that will be new for me. And something that feels humbling. Like hearing in homiletics that we are God speaking. We are God healing. I thought I was scared before- that is truly amazing. Did I think about this before? Yes and no. It is a lot to wrap your mind around. Thrilling, terrifying. And hard to imagine being anywhere else. As for the mountain of schoolwork it is there- a looming presence. And there is the new wrinkle of 13 year old angst. She does not want me around, but now that I am not ( i.e. on Sundays while she is still in our home parish for confirmation)- she feels like things are amiss. And we are jockeying for computer time. This will keep me humble. SO tomorrow I am off to the parish and then their youth group is going to a corn maze. LC#2 is invited come along and I hope she will. From the Chicks. There is some great footage of India and the crossroads of faith connections. Enjoy! "So then you are no longer strangers and sojourners, but you are fellow citizens with the saints and members of the household of God, built upon the foundation of the apostles and prophets, Christ Jesus himself being the chief cornerstone, in whom the whole structure is joined together and grows into a holy temple in the Lord; in whom you also are built into it; for a dwelling place of God in the Spirit. " May we not simply be inspired within this place, but may we look out of these windows beyond this place into tomorrows yet unknown. Inspired by Gannet Girl to post our recent puffin pictures. You just can't stay grumpy after looking at puffins. After Greek participles, puffins just make me feel happy again. Welcome to my new parish to which I have been assigned for "Teaching Parish." Behind these doors lies a country parish built on land from someone's farm. There is probably only one farmer left now. Life has changed. 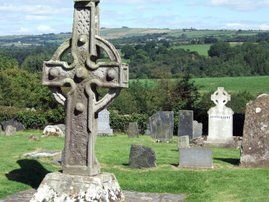 To the right, if I had used a wider angle, you would see the sprawling cemetery for the saints triumphant which is still actively used. Behind the building is a new addition that houses class space, the pastor's office, restrooms, and downstairs, the social room and kitchen. Since the parking lot is around back as well, many people do not come in the "front door" anymore which says "Welcome", they come in the back or side doors which do not say anything. The congregation worships on average 80 people at one service. Many folks are "from here" although that has started to change. Many people used to come from neighboring farms to this parish, but now they come from developments or home scattered throughout the community. 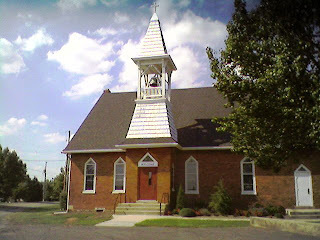 The town actually has three Lutheran churches. Our parish on a winding country road, off of the beaten path. Some very large new homes have been built nearby but the people in these homes want a church that looks like their home, new, and contemporary. Which may be too bad. For people who will miss out on a great experience here, and for those who wonder what the future will hold here if folks do not come. Amidst this are people who take awhile to warm up to a new face. Once I was introduced and "installed" many people wanted to meet me at the door, at the sharing of the peace, and during fellowship. Before that I was a face they did not know. Alone. I experimented with their reaction to a total stranger. One person said "Hello" in the parking lot and asked me if I was visiting.
" hello" to people who kind of smiled and kept on. No one sat in my pew even though I sat in the midst of the congregation. Not until it was clear that I was someone they will be seeing and it was clear why I was there. I had the chance to worship in a new place without family ( they were at our home parish) and to be new and "single." This group of people is pleasant once they connect with me. There is a list of people signed up to take me out to lunch, or home for lunch as the case may be, now that they know who I am. I guess I passed the test, in fact I was even asked what I like to eat.But if they wish to thrive into tomorrow, they will need to grow a little into connecting with the random visitor if they want to continue on. I know they can, and I hope they will. Evangelism is scary. I sat in on the middle school Sunday school/confirmation- three boys.I confess that while I found teaching 20 middle school students a challenge in the past, three seems...like a different challenge. The class is taught by a high school student and the pastor. Next week I will be teaching with the pastor as the high school student is away. I will be assistant in worship in a new setting and with new worship practices ( as in this is not how "my church " does it), and intoning the liturgy, but for all of this I will not have a single familiar face. And so the presence of a friendly supervising pastor and the sustaining power of God will have to carry me through. For the first time in my entire life, I am embarking on a journey without a single familiar face, not one connection to prop me up. It's just me and God. I am sure God is up for it. In fact, it sounds really foolish for me to limit God by saying "just God." I am the only one with limitations in this equation. I think there are many stories to hear and to share. I think that aside from my fears about " getting it right " which is just about me, I suspect that the people here have fears as well. Fears about letting people in who might "change things" or about losing identity, or about what others might think who come here. Maybe a little defensive. Thoughts about what will happen to "my/our church" and maybe if we keep it all the same it will feel right. But this is surely not the message of Christ for them or for me. This church needs to reach out not just to those who are "like them" but those who are decidedly not. And to eat with the "sinners" whatever that may conjure up. After all aren't we all just a little self-righteous from time to time when we see someone who looks or acts in a way we think is not "right"? And do we not then need to see Christ in those we meet and cast our fears upon God and be about God's mission? And if this conversation is to happen, it will not be because I or any other person "tells it like it is." If it is to happen, it is because we make connections, build relationships, and understand how each of us got to this place and time. And I look forward to hearing theirs hopes, joys, fears and concerns and pray that they will discern, as I will, where the future will take each of us from the crossroads in our lives. And I am eager to take this journey with them and grateful they have been willing to receive me. One of the courses for the fall is "Teaching Parish with Integrative Seminar" which is a heavy phrase for being assigned to work in a parish and getting together to talk about ministry. We were asked to fill out a form which was just basic information ( name, address, age, contact info) and prior employment and involvement within the Lutheran church ( if you are ELCA). We were asked to identify any other considerations that we felt might be important. My home parish has been the Church of the Really Big Deal which has two pastors, a music director, a full time office administrator, 15 members of the Church Council, two services, Sunday school classes for all ages including 3 each Sunday for adults, five choirs, two bell choirs, Wed programming for youth, two weekly Bible studies, and we are the home for multiple support groups extending outside our parish. We own real estate in town and outside of town where we have a place in the woods that has pavilion with a full kitchen and full bath facilities. We have about 335 active members. My candidacy committee indicated that since this was my reality for the last 17 years, it would be beneficial for me to experience a smaller church setting. So I indicated this on my form. Yesterday's class was kind of like a blind date. You are waiting to meet the person who has been matched to you. I do not know how sophisticated the process is, but as I watched other people leaving with their matches, and especially since I knew some of these pastors, I could see it looked like a good fit. Finally, it was my turn, and I have been matched with a vibrant pastor who I have been told is a "hoot." And my parish worships about 80 a Sunday at one service. I have checked out to see that they have a website, and a long history dating back to 1800. They are a rural location and it looks like, as with many churches, there was a heyday, but a few years ago, the rolls were adjusted like many parishes have done. It looks like after that there was a downturn and now growth is beginning anew. I am sure that there are stories to be learned. While it might be easy to get out my rose-colored glasses and begin to envision quaint people and surroundings, I suspect that I will find, just as in my own congregation, there are core workers, others who just show up, hopes and dreams, petty slights and disaappointments. In fact one thing that has amazed me in my home parish is when I would hear about some disagreement between members where the end result was that someone continued to come to church mad for years ( as opposed to going somewhere else). So this Sunday I will be introduced and "installed." And next Sunday I will robe up and roll up my sleeves to work and learn. I hope I remember to talk less and listen more, and to be slow to reach conclusions, and to see Christ in each person I meet. Those of you in smaller parishes, if there is any pearl of wisdom you can share I would be grateful. I was able to get these images from the extremely helpful communications office at LTSG. I hope to maybe take others. But in the meantime, please enjoy this window. If you click on it, you can see it in a larger scale. Found a new site to check out thanks to Lutheran Chick #1! I missed posting a Friday flick because after class it was a fast dash to get home and get the Chicks to the football field for the band prep and pregame show and I was working the concession stand. It was already a busy evening. Made busier by the text from the Chicks that D, one of LC#2's friends had come home from school with my girls and we were taking her to the game also. And our home congregation was having its first Fifth Quarter party after the game. All of our kids at church were bringing their friends for pizza and wings for about an hour. LC#1 informed me that she had invited two friends who may or may not be sleeping over after all of this and who would all need rides to 5th quarter if they did not walk as a group, and definitely rides home. So off we go to the football field with 2 chicks and D. After the game, I learn from my wide-eyed younger daughter that D REALLY wants to spend the night. Her mom, who is divorced, and lives with a boyfriend who is the father of D's little brother, is at work. Mom and boyfriend had been fighting the day before and that morning. D gets caught in the middle and says that the boyfriend is " a mean drunk" and she does not want to go home. I suspect there is even more to this story but it is not shared. We track down Mom who says she is just getting home but a sleepover is fine. We arrange to stop by and pick up a few things. I send my beloved just in case. Meanwhile, LC#1 has two friends, AC and AK who are having home issues as well. One had just had her mom leave this summer for another man, leaving Dad and the kids behind. Lots of ugly confrontations. The other tells me that her mom and stepdad have been fighting. He left for a day but is back. Her mom lost her drivers license some years ago for a series of DUI's. The girl thinks her mom is now eligible to get her license back, but her stepdad will not pay the fees necessary, because " then my Mom could leave. This is how he keeps her trapped and controls our lives." And both of these women have low paying jobs, and kids to care for and are dependent upon situations that perhaps they would rather not be in, but there is no way out. And these girls are smart enough to see that this is not healthy. I pray for them that they get the chance for different futures. So lots of running around and lots of being there for these teenage girls who just need an adult without issues who lets them vent. And we got home after 11 last night and some people were sleeping over and needed to be redistributed today. And in the midst of all of this, my girls made me proud, not just for being there for their friends, but for inviting one of the "outcast" boys in band to the party as well. And his mother rejoiced with me that he and she were thrilled that he got an "invite." So I am tired, and all of my schoolwork is calling my name, but once again, being present for others, not to fix their world but to give them a haven, seemed like where we needed to be. This week is the "official" start of classes, although for us summer Greek-ers, it feels like we have been around forever. All jesting aside, today was THE convocation to open classes. Now I know that some people find all of the hoopla a little tedious or excessive. To the contrary, I actually found this very moving. I always liked academia in the "traditional" symbolic processional milestone moments. And then of course we are in the chapel, known as the Church of the Abiding Presence. I went there to pray after the Greek final and in the solitude give thanks I was still alive. The name suits a place I find sustaining. As an aside, I love to sit in the empty church without all the lights alone with God and to envision the spirit not only of God's abiding presence, but as a history buff, to envision the saints who have gone before in this place, as an ode to the eternal and sustaining message of God's glory, and grace. The stained glass windows are like none I have ever seen. They are actually not the usual leaded glass variety, but rather are an opaque window with engraved images of the historic figures of the Reformation, the Church and our fine seminary. I wish I had a good picture. In the Church of the Abiding Presence, the chapel of the Lutheran Theological Seminary at Gettysburg, the stained glass windows depict scenes from the Bible and Church history. The window closest to the pulpit depicts the crucifixion of Jesus. Just below the foot of the cross, and a little to the right, the first Christian martyr, St. Stephen, kneels in adoration and suffering. A little further down, and to Stephen's left, St. Francis is shown receiving in his own body the marks of the crucifixion. 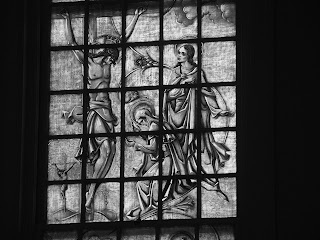 This window is symbolic of Lutheran recognition of St. Francis of Assisi as one who truly surrendered himself in humble submission to the shame of the cross. Not only are we there to open the class year for our time here, we are part of an unending march of saints/sinners who, answering God's call have come here to this place and time. And while, after summer Greek I know much about some of my classmates that could fall into the TMI category, I was also glad to see people I can now begin to say I know, when I came back to campus after the brief hiatus following Greek. We are community here, in all the good and less than outstanding that any moment can encompass. But we are also community in the larger sense within the holy catholic and apostolic church. And we are but a current manifestation of a ragtag band that goes back a really long time. So as I watch the current and future leaders of the church amidst the backdrop of the past, and after a couple of weeks of conjuring up the core of what begins to give me new and different glimpses into belief, I cannot help but feel that the saints in the windows are a part of that great cloud of witnesses. And during worship this week we were asked to take a moment and contemplate our family and friends who helped us and continue to help us be here; the pastors and other leaders who encouraged and taught, and all of those people throughout time who have influenced our thought and faith. And there again was not only the memory of a beloved pastor now deceased, who I wish was here with me now, but that cloud of witnesses again, whose life and witness, successes and struggles, joys and sorrows in the faith have convened here with us now. Our motto here is " At the Crossroads of History and Hope." Not merely a trite expression as I contemplate where the Spirit may lead me during my time as a part of the community here. And while I am terrified at the notion of preaching, wonder what I will mess up, I end this reflection with wisdom shared today by our Dean of a statement she learned in her internship, to pray that God bless what has been done for the good of God's kingdom, and forgiveness for the rest. She added that on any given day she is never really sure which may be which in God's eyes. I suspect the cloud of witnesses would concur. Once again, I am reminded that I must surrender my notion of being in control, allow God to fill and mold me, as many have before me. And Lord, please forgive the rest, Amen. Summer Greek ended Friday and I have now come home, introduced myself to my family again, and caught up on my sleep, my laundry and my snail mail. But rejoice with me- I made it! Prepare Ye and I were both convinced that we had pretty much messed up on the final ( which of course is closed book). The practical 43 year old in me sarcastically wondered when there would ever be a theological emergency requiring me to immediately translate in Greek from memory in order to save the day. And of course for those of you who have experienced the Croy book, I think he is need of serious pharmacotherapy. Sentences involving dead children, dead holy sisters and evil sinners start to get a little unsettling after a while. Joking aside, I LOVE translating Greek and envision conjuring up the spirit of the time when the texts were written that make up our New Testament. The subtle nuances are fascinating. Learning how to detect the true emphasis of a passage, which is sometimes different than I might have thought is thrilling. It feels vital. If you are not familiar with the Croy book, say thanks to God and I do not recommend it for light reading. On a lighter note, the intensity of the summer Greek two week class that jams what other longer classes would cover into a tiny stretch of time is a great way to bond in common adversity with others. We are all in this together is the thought, and, as the Marines put it, we will leave no man behind. Indeed, we did all make it, and were sorted into two classes for fall. Much to my surprise and to the surprise of Prepare Ye, we placed into the advanced class. Each day at the opening of class one of the students was chosen to lead prayer. On the day of the big test when we met for the review of the test, one of my classmates, after offering the prayer, closed with leading us all in the prayer Jesus taught us. It brought tears to my eyes as I listened to the instant sense of peace come across the room. When I came to campus for Greek, I was more than a little stressed about being away from my family for two weeks. As I have said, every one else comes and goes on trips, but I am always the one at home ready to receive them back. To have this role switched was unsettling. Having my husband email to say that he never realized how many little things I do that he never realized was gratifying but bittersweet. I texted the Chicks and emailed the family while I was away, but while this was somewhat of a respite, you know you just cannot hug an electronic device ( at least not safely). I often believe that the things in life we experience are a chance to see what we have not seen before and give us tools for the future. This experience allowed me to greater appreciate how people who travel away from family for work regularly must feel in the absences. My father was one of these people, yet when he came home after sometimes weeks on the road, there was always some little trinket he had picked up, and even spending the day with him running errands was time I cherished as a child. I never felt that he was absent from my life. He once had a flight canceled because of snow and he rented the last rental car to drive 12 hours in bad weather to get home for Christmas Eve. I know he must have been anguished and exhausted. But by God's grace he made it to be with us. And, minus the 13 hours in snow, so it was for me, as I packed my car before the final so I could leave right after class. I had gone to the bookstore and picked up trinkets. And I pulled into the driveway in time to get to the first fall football game where the Lutheran Chicks are in the band. I caught the pregame show. With tears in my eyes I was glad to be home. My parents have just left to go home to FLA, and we went to church to hear LC#1 cantor, and it is 18 years ago that my beloved and I walked down the aisle together. Last night we celebrated LC#2's birthday 10 days early so we could do it as a family with my parents. A friend of mine has an old Lincoln Towncar stretch limo complete with steer horns on the hood which I decorated and drove us in to go out for Chinese- her favorite food. A spontaneous idea I had that was a great surprise for everyone else. So this weekend has been kind of a watershed time. I found myself looking back across the years that my sweetie and I have traveled together. The ups and downs, the highs and lows. We have received great blessings. We have each other, in all of our quirky humor, sharing a love of civil war history, the British Isles and Atlantic Canada. We have been blessed to travel to these places and share wonderful moments ( both before kids and with kids). We share a love of the comic strip "Get Fuzzy" and he will make sure every day that I get to see it. We enjoy books, and music and reading the personal ads in the London Review of Books. I have learned to cook the things he likes including Chicken Paprikash, even with very potent paprika a co-worker brought us from Hungary. It does not require the same amount in a recipe. I learned this when proudly serving it to our interim pastor, and watching his face immediately turn red, and as he drank about three glasses of water I wondered if it might be too spicy. Miraculously the pastor lived. And my hubby has learned to eat things he would never have eaten growing up. We share a love of the same music ( most of the time)and the milkcrate of albums he brought into the marriage is still upstairs. Along with the posters of the band "Rush" which are ( to his dismay) not displayed in the house. We have each been the one to bring home a dog who needed a home and you will find us telling stories about them almost as much as we talk about the kids. But we have also walked the road of a terminally ill parent ( his father)whose service I planned and whose eulogy I delivered because I was the only one who knew his wishes. We have walked the road of getting a call that a parent is in the ER with heart issues ( his mom and my dad), we have walked the road of almost losing LC #1 at birth and diagnosing her learning issues, we have a child whose birthday is September 11th, which in 2001 was hard to deal with. We have walked the road of my uncle taking his life and me packing up my mother to travel a long distance to a funeral that was incomprehensible. But through all of these things, God has blessed us with each other, and with more than we truly need. And as I have woven my way through discernment to now, he has been my biggest supporter and encourager, often telling me what I need to hear. And all of this from the man who was not joining a church, just going to humor me. I came home from Greek to find pizza on the counter, a glass of wine at the ready and flowers in my kitchen window. It doesn't get much better than that. A time for endings and beginnings. A time to give thanks for the gift of family. And later today, a time to do my Greek homework.